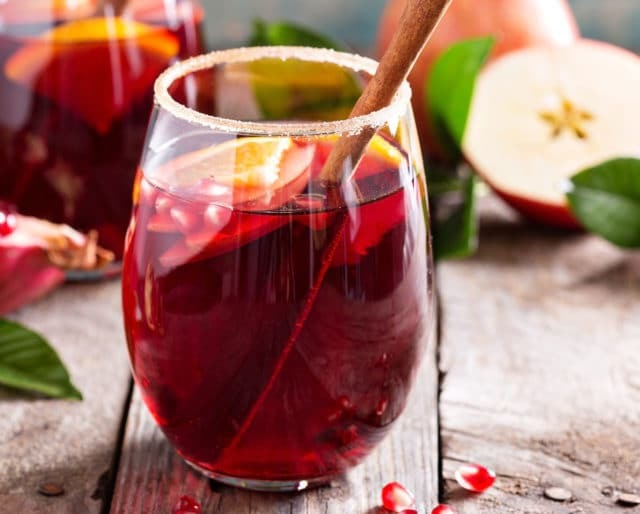 Sangria was first introduced during the Roman invasion of the Spanish region, where they added wine and other spices to help kill of any bacteria that could lead to illness. Now, on Dec. 20 of every year, people around the world celebrate National Sangria Day. From the different variations that it’s taken over the years, the basic ingredients remain the same, wine and fresh fruit. This year, National Sangria Day lands on Wine Wednesday, a weekly tradition that many people partake in. Turn that glass of wine you'd normally be drinking into a tasty sangria. Just add some apples, grapes, peaches, and fresh cinnamon. Invite your friends and family over for a night that is sure to end in red smiles. Have everyone bring their favorite homemade sangria and share their recipe. This is also a great way to share recipes before the holidays. White sangria is best enjoyed during a nice brunch. Host a brunch, and instead of mimosas, be the signature drink be a white sangria. For added fun, have a sangria bar where guests can add their own fruits to their own drink. Sangria contains red wine, which is full of antioxidants, and is great for maintaining a healthy heart. Although many people are still on the fence about this claim, everyone agrees that drinking sangria with family and friends makes the heart full of joy. Whether you prefer a white wine over the traditional red, or can't drink wine overall, there are different variations of this classic beverage. Choose a red/white wine (or grape juice and just add your favorite fresh fruits to your liking). It's that simple. Tired of drinking the same bottle of wine? Sangria calls for fresh fruit and spices, which adds a kick of flavor to the that bottle of merlot you have collecting dust. The pieces of floating fruit make for an interesting looking beverage.